Find it silly needing to give inspiring speeches to program robots? Now you can assign your constructed Automatron bots to provisioner lines as long as you have Robotics Expert! Local Leader not needed for bots. LL01 still required to order humans around. This mod requires Automatron (duh). Local Leader still works on everyone. Thanks to kinggath for his time in knocking the rust off my brain, and to Wenderer for his amazing FOMOD creation tool. Added additional checks to make sure the target robot isn't dead. Or trying to kill you. 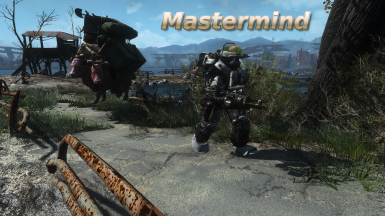 This mod adds a second dialogue option when mousing over an Automatron bot: Assign Provisioner. You select the target location as usual, and off it goes. You only see this option if you have Robotics Expert 1. Since that makes more damn sense for programming robots than Local Leader. Local Leader still functions for humans, but it's not needed to make bots into provisioners as long as you have Robotics Expert 1. Local Leader still lets you assign anyone, even bots. This mod may be incompatible with anything that adds another dialogue option, like Quick Trade: in my tests, humans still had the Quick Trade option while bots didn't, but it seems inconsistent between sessions. If you have anything that adds a second dialogue option, and you don't see "Assign Provisioner," try disabling the other mod. Engine limitation (sigh). Thanks to kinggath for correcting my flailing about in the CK when I failed to create a papyrus fragment properly, and pointing out I could use a dialogue option since the workshop provisioner functions are hidden. You know, maybe I like the rain, Preston!